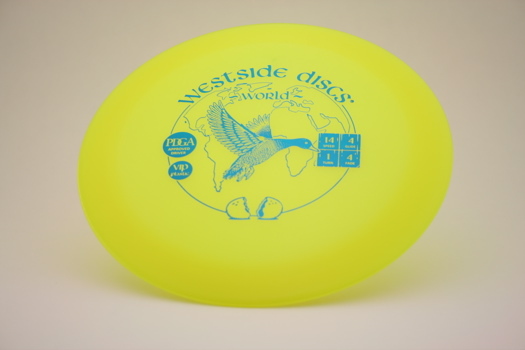 What Westside says about the World: For professional players it is the fastest disc on the market that holds a hyzer line for anyone. For lower speed arms the World will be the disc in your bag that is over stable and fast in all conditions. This disc is available in VIP @ $13 and VIP Air @ $13.